Call of Juarez Bound In Blood is the second instalment of the game that really did hot the highest heights last year and this new version of the game is simply phenomenal. The game has some of the best graphics I have ever seen and has a really good plot which works the game play engine perfectly. awesome game all round and cannot recommend enough. 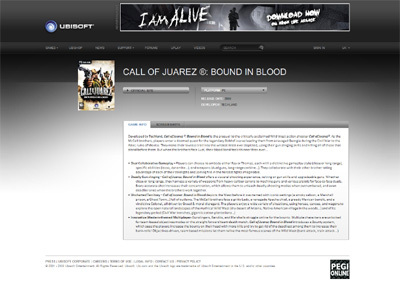 We have also compiled a Review System for this, of which Call of Juarez Bound In Blood is Rated as Five Stars, the highest possible score available from the Game Review Team.